Em-Tec first met Mr. Rocky Bhatia at the Formula One Grand Prix in Abu Dhabi. 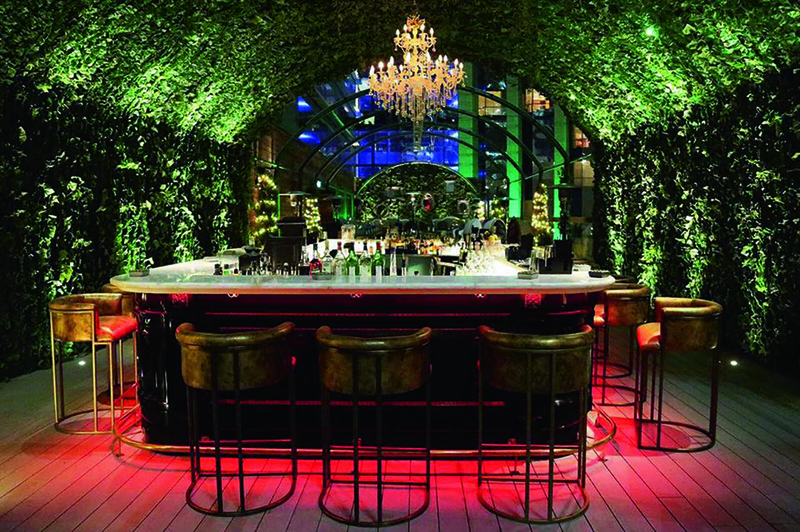 Impressed by the Funktion-One sound system they were using, he asked them to look at his new venue – VII at The Conrad Dubai – with a view to delivery a truly sensational audio install. 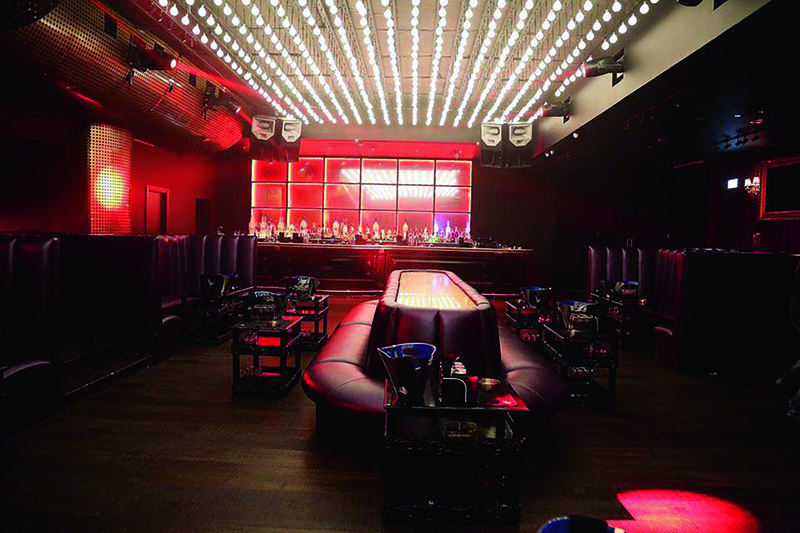 The initial brief was for a very high-end club/lounge space, but as the concept evolved, the emphasis shifted towards producing a high-end, DJ-led nightclub, enriched by the best audio equipment available. 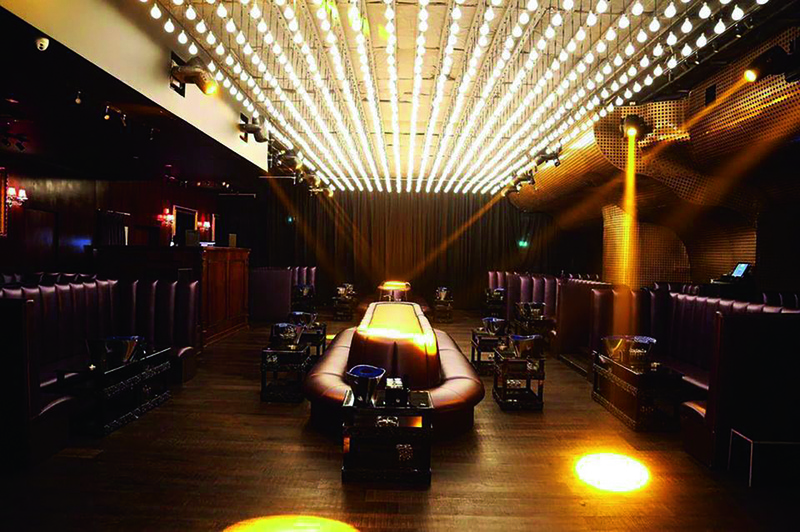 The aim was to make VII a world-class nightclub with amazing sound across the whole venue. To achieve this, Em-Tec designed a tailor-made sound system with a focus on providing high-impact audio of both an extremely high quality and extremely high SPL. Funktion-One’s cutting edge Evo6 products, teamed with the manufacturer’s legendary F221 bass speakers, form the core of the system. The full speaker system comprises: 6 x Evo-6Es; 4 x Res 2 full range speakers, 2 x F101; 4 x F1201; 6 x BR218 and 1 x BR118 Bass Reflex enclosures; 2 x F221 and 4 x F218mk2 bass enclosures; and an IB218 Infrabass 218 Bass Loudspeaker. As Em-Tec note, Funktion-One is unrivalled in this kind of environment. Its ability to play at extremely high volume with very low or no distortion and yet maintain an unsurpassable clarity of audio, makes it uniquely qualified for the job. The speakers cover the full range of sound from deep bass to crystal clear highs with no loss of quality. MC2 amplifiers (an E45 and E90) deliver not only amazing audio quality, but extreme reliability and efficiency too. As recommended by Funktion-One, XTA DC1048 handle processing – their DAC converters along with great functionality to control the loudspeakers to their maximum potential, making them the ideal choice. 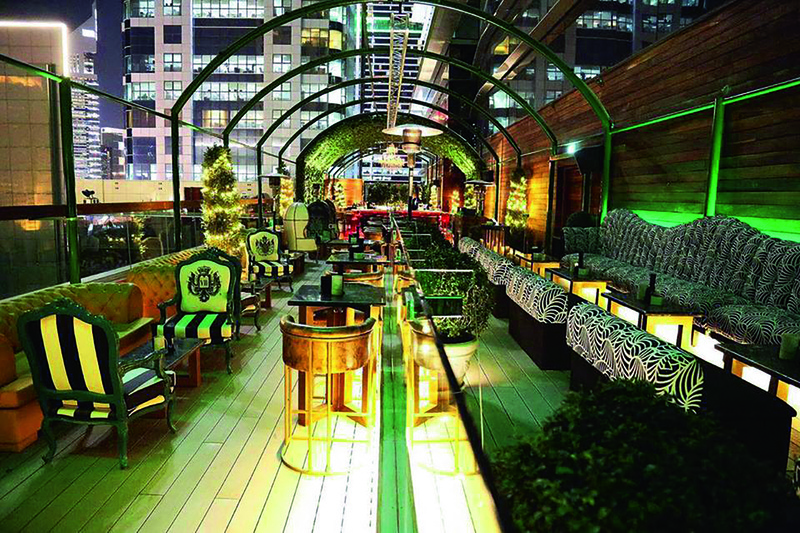 The club features three key DJ performance spaces – the club area, garden and lounge. Depending on the evening, these can operate simultaneously to provide a unique set for each zone, or music can be streamed from one DJ across the whole system – aided by a Formula Sound ZMR-80 zone mixer and AAVC2 limiter. Prior to the recent overhaul, the lighting design was based primarily on a ceiling feature of warm white bulbs, but the VII owner was keen to stay on trend and therefore wanted a fresh, colourful and more energetic look for the new season. This is when Wiam and the team suggested the idea to implement RGB bulbs, lasers and a central chandelier comprising LED RGB pixel tubes as the focal point. Wiam and the team came up with the solution to design the RGB bulbs and the LED tubes in 3D using Capture software for the simulation. The chandelier consists of four layers of LED RGB pixel tubes, approximately 200 tubes in total. Each layer is a different length to form an eye-catching centrepiece. 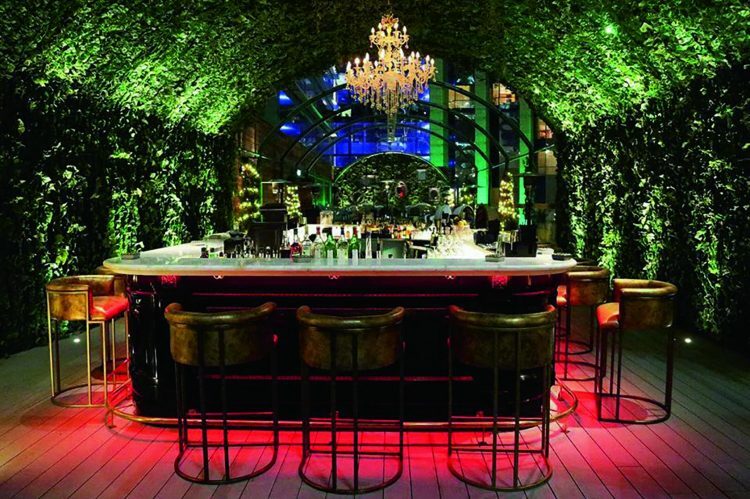 Surrounding the chandelier are more than 1,000 RGB bulbs. The entire ceiling is controlled via MADRIX software, and each layer was individually mapped for a higher level of control and creativity options. Two MADRIX LUNA 16 Art-Net nodes are used to drive the DMX universes. In addition to the pixel mapped ceiling, Procom also installed 12 Cyclops CL 350 SBW moving heads at VII. They flank the feature rich ceiling, six per side down the length of the elongated room. An RGB laser has also been added as part of this upgrade for extra effects. The room lends itself well for an all-encompassing atmosphere. Booths around the perimeter of the room, as well as down the centre make for a uniform appearance, yet offers each group of guests in any given booth their own personal space to occupy as they please. The DJ booth with a small dancefloor is housed at one end of the room, the bar area at the other, while the in-house lighting / visual technician is located half way down the room to get a full view of the action. As well as pixel controlling of the MADRIX software, the technician also operates an Avolites Titan Mobile, which is in charge of the intelligent moving heads and the laser. VII has previous experience of Avolites products, but once again, the owner was ready for an upgrade that would offer higher levels of control. “The Titan Mobile is a super compact light unit, with four DMX outputs and 10 pageable faders, which allows for superior control,” Wiam explained. According to Wiam, the main challenge for this aspect of the project was time. But Procom managed to finish the work on time thanks to the experienced team. 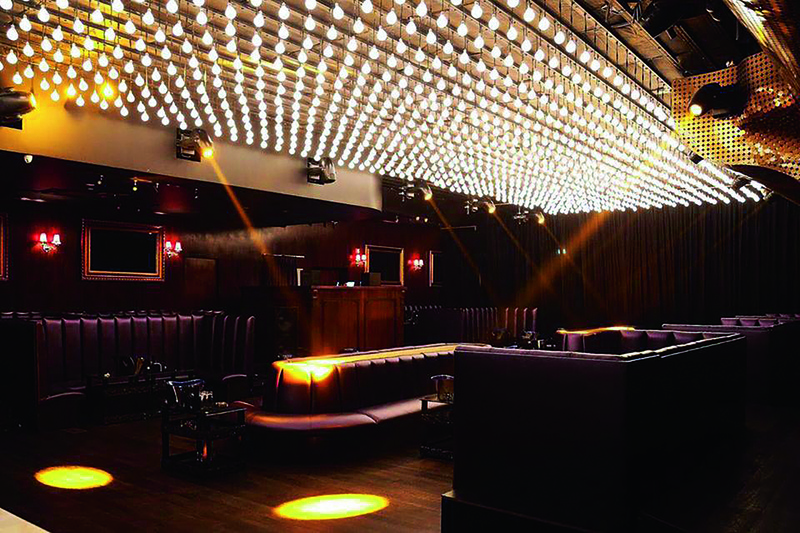 The ceiling feature has improved the overall look of the venue and has increased the level of possible creativity and adaptability for when the club wants to host different types of themed events. 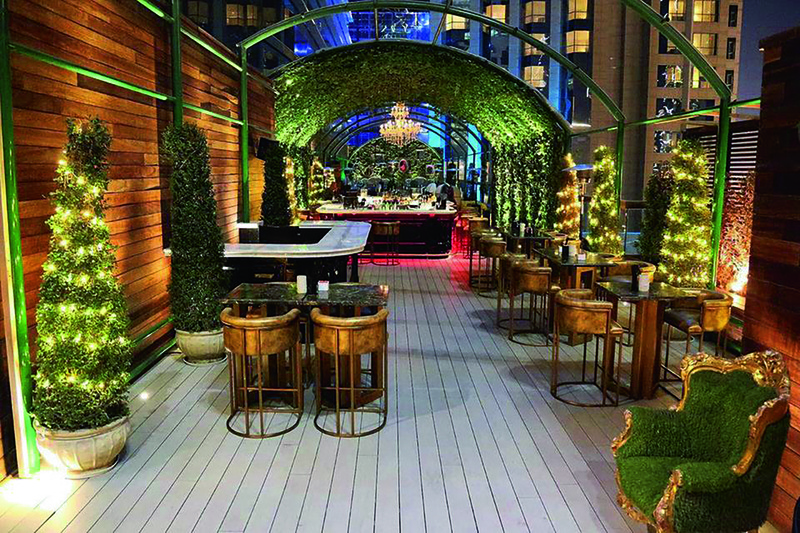 As the venue is located within a hotel, Em-tec had to ensure minimum disturbance to neighbours and guests. In this respect, the extremely directional nature of Funktion-One speakers was invaluable. Working alongside Matthew Carter from Acoustic Logic, a Dubai-based acoustic consultancy, Em-tec did a full design study and sound proofing to minimise the effect on the surrounding area.